This official San Miguel half pint chalice features the San Miguel brand logo on the front of the glass. 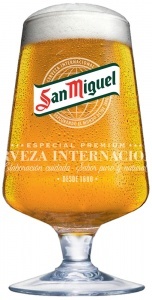 The nucleated base ensures the head of the pint will stay intact for longer allowing your customers to enjoy the high quality San Miguel taste for longer. 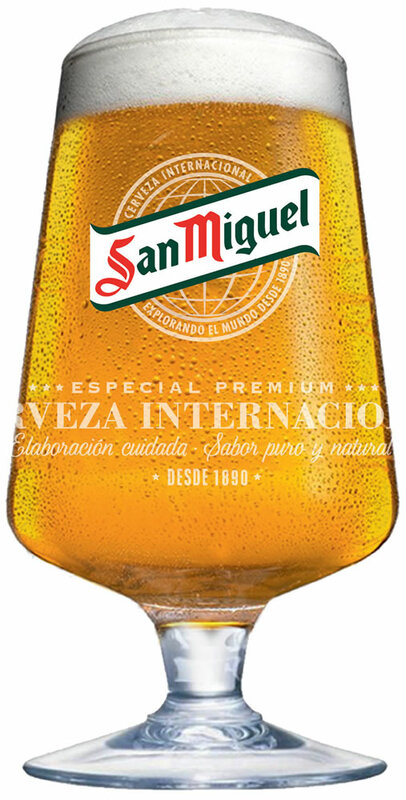 The CE marking at 10oz helps to ensure that every drink poured in to these San Miguel half-pint glasses will be accurately measured. Sold in boxes of 24. 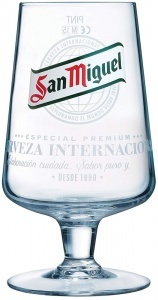 San Miguel pint glasses are also available.